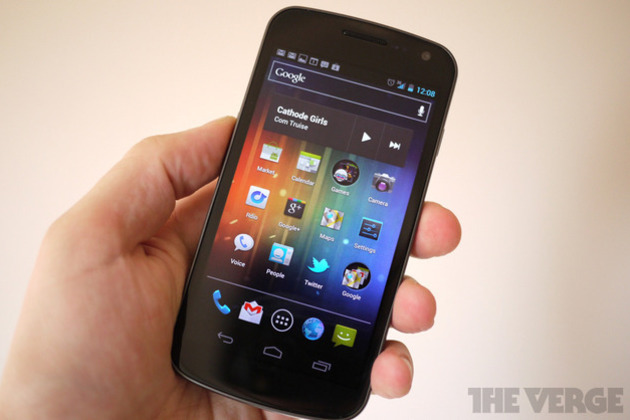 To say I've been eagerly awaiting a chance to review the Galaxy Nexus would be an understatement. As I mentioned last week, I've been thinking pretty seriously that this device would be the next phone I lay out cold cash for. And really, is that so crazy? The Galaxy Nexus is a beast of a device. The phone — which was built by Samsung in conjunction with Google — is the same thickness as the iPhone 4S, but sports a massive, 4.65-inch, 720p display, and a speedy dual-core CPU. In the US, it will come equipped with LTE on Verizon's network, and will also be available internationally as a pentaband HSPA+ device (I tested the HSPA+ device).